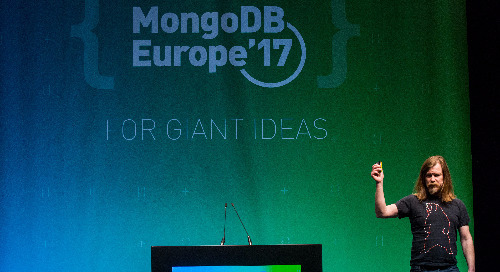 In this fourth webinar of our back to basics series Joe Drumgoole, Director of Developer Advocacy EMEA at MongoDB, looked into the full-text index support and geospatial support available in MongoDB. Full text support allows a user to index all the textual content in their database allowing “google like” searches over the data set. Geospatial indexes allow a user to store geospatial coordinates in the data and do searches based on the proximity of one point to another. This is a fundamental requirement for many mobile applications. In this presentation, we discuss architecture of IoT data management solutions and the challenges that arise. We also explore how MongoDB features provide solutions to those problems.